An F1 seed variety is created by breeding together two pure strains. For example, a tall plant (represented with two dominant genes, AA) is bred with a small plant (represented by the two small recessive genes, aa). Since the resulting plants will each receive one gene from each parent, this will result in offspring with the following genetic make-up: Aa. All four offspring will have the same make-up and therefore, will each be tall plants. The difference from the parent generation in this case is that these will not be pure strains due to the presence of the recessive (short) gene. This means that the F2 seed strain will have three tall plants and one short plant. So, the main difference between the F1 and F2 varieties is the amount of genetic variation and purity of the seed strain. To continue along this cycle, the F3 generation will be produced by pairing those plants which have the desired characteristics together. As an example, if the grower was looking for short plants they would breed together parents with the make-up of (as listed above) Aa and aa. The result of this combination will be two tall plants, each with a make-up of Aa, and two short plants (both aa). This breeding has actually reduce the variation is on the path to producing a more stable variety. This is also often called stabilizing. With each successive variation the grower is selectively taking those plants which have the characteristics they are looking for and breeding them together. 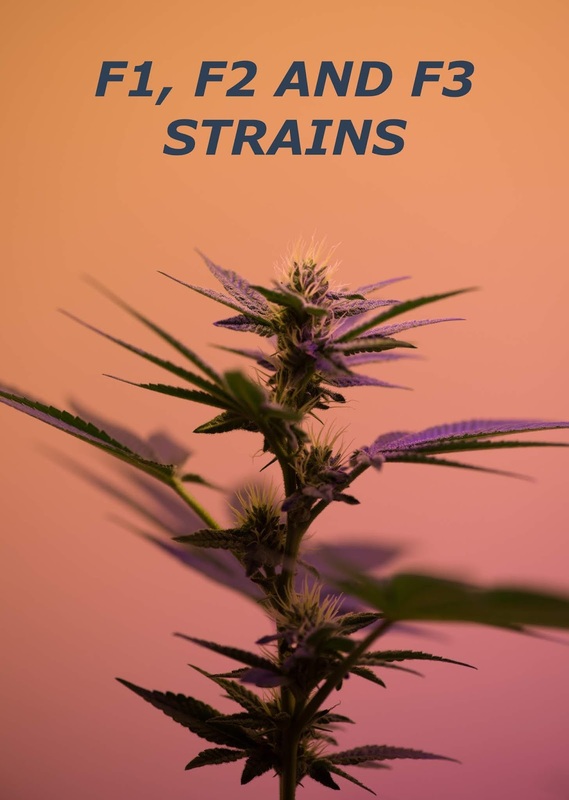 It is basically a way of manipulating the future stock and developing more stabilized weed strain seeds. It should also be noted that the main difference between F1, F2, and F3 is simply the generation it is, since this process can really be repeated indefinitely (although there will come a time when the seeds produce much different results than expected). This is also a bit of a technical process which may even explain the price difference for various strain seeds.